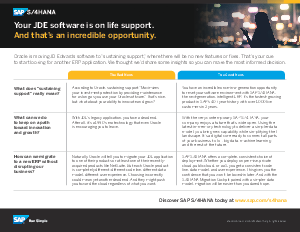 > SAP > Your JDE software is on life support. to start looking for another ERP application. We thought we’d share some insights so you can make the most informed decision.